From the outside, almost every riad looks the same. The doors might be different. The walls may be shorter or taller and of course the neighborhoods vary. But from the outside there’s no way of knowing what you’ll find inside. It could be a lush green garden surrounded be heavy tapestries and ornate rugs. Or maybe trellises of flowers reaching to the roof. Or, you may be completely surprised and find white and silver modern designs welcoming you. This is what we walked into at Riad Sapphire. I love modern design. Clean lines, with simple decorations – a way to showcase a very natural simple beauty without going overboard. It’s the kind of style that puts me at peace. 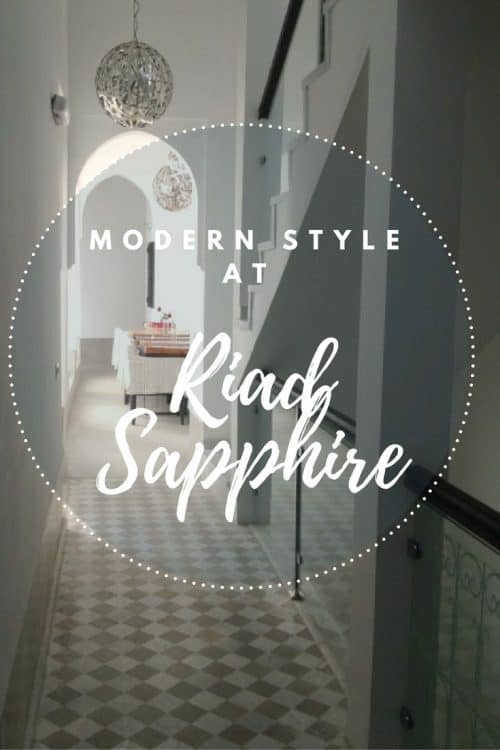 After walking through the cacophony of noises and assault of colors and smells entering Riad Sapphire is like wandering into a dream. Typically the courtyard area has large trees or water fountains. The middle here featured a small silver ball fountain, something I’d never seen before. But it works and it’s even more lovely at night. Again, something so simple and yet perfect. You can enjoy relaxing in any of the multiple sitting rooms, courtyard, or even take a dip in the ground floor pool. While many riads make use of the rooftop to add in a plunge pool, Riad Sapphire has one on the main floor. Though you won’t be swimming Olympic laps it’s the perfect size to take a swim on a warm afternoon. Take a pot of mint tea on the couches while reading or catching up with other guests. Because, one of the best things about a riad is that everyone is welcome to keep as private as they’d like or to interact as much as they care to. It’s a feeling that you can’t replicate in a hotel and makes riad living even more interesting. When you’re ready to get ready for dinner wander through the second story hallways to one of the carefully designed suites. Each featuring a different color palette and style. This hallway leads to the dining table where dinners and breakfasts are served. The rooftops of riad courtyards are open to the sky, and at Riad Sapphire three panes of white fabric create a draped effect across the open space. It feels like you’re in a tent but with the comforts of a building! While we sat at the table for dinner, the adhan (call to prayer) echoed all around us. I hear the adhan every day, 5 times a day however sitting here and hearing the echo from mosque to mosque was truly one of the most beautiful experiences I’ve had living in Morocco. Even if you don’t understand the words you will appreciate the beautiful lilt of the imams’ voices. For the evening I called the Peridot room home (it’s the green one). There are eight rooms to choose from, each designed differently and with slightly different amenities and capacities. Children are permitted to stay, so if you’re visiting as a family be sure to select a room or rooms that will accommodate everyone. If you’re traveling with a large group the entire riad can also be rented. I had some work to complete during the evening and was so touched to find Beryl knocking on my door offering some tea and cookies. What a welcome surprise! Small things like this are what really go a long way in my book. It’s what makes staying in a riad special. Riads aren’t just a place to sleep, they’re a place to experience a special part of Moroccan history and culture that can’t be found elsewhere. 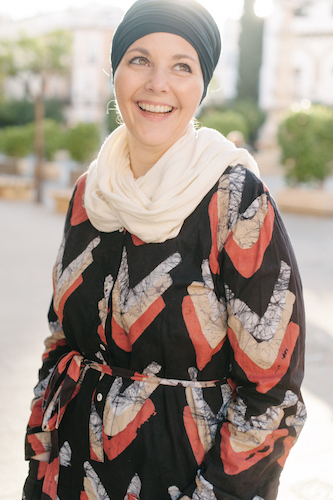 For dinner I shared Moroccan salads and a vegetarian tajine with the owners and got to know more about how the riad came to be and our shared love of Marrakech. It was obvious to me this is truly a passion and that so much has gone into making this not just another property or business but an extension of themselves. What a pleasure it was! The owners and the staff speak English (some natively) and are happy to help you find your way around the city. Riad Sapphire also offers complimentary cell phones for guests to use. If you really can’t get away they also have fantastic WIFI which is an amazing feat in Marrakech! Don’t forget to book a hammam treatment in their on-site hammam. You’ll feel fantastic! I am totally enjoying reading everything you have on Morocco. I will be traveling there with my husband and 27 year old son. Our plan is vist Marrakech, Essaouira and then south to an area for surfing. 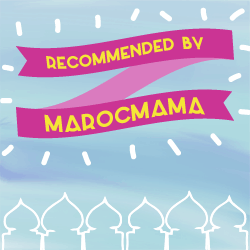 Is the Riad Saphire in a location that you would recommend, we will want to be close to the shopping areas? Have you been to the areas for surfing and can you recommend any where to stay? Yes it’s a nice location you’ll be close but not right in the middle (which is a good thing!) for surfing we usually go further south to Taghazout. We really like Paradise Plage resort but there’s quite a few places there at different price levels.